Google has said that it will begin to roll out a privacy reset for its controversial social network Buzz. The search giant will ask all its users to confirm or change their privacy settings, starting on 5 April. The firm was forced to make a series of changes to Buzz just days after launch, following a backlash from users worried about privacy intrusions. Last month, US Congress members urged regulators to investigate the service and the private information it exposed. The latest tweaks will also show every aspect of a user's profile, from public settings to the websites users are connected to, and who they are following or being followed by. "Shortly after launching Google Buzz, we quickly realised we didn't get everything right and moved as fast as possible to improve the Buzz experience," said Buzz product manager Todd Jackson in a blog post. "Offering everyone who uses our products transparency and control is very important to us." 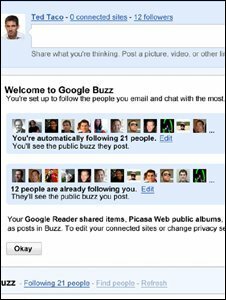 Google launched Buzz at the beginning of February and integrated it with the company's e-mail product Gmail, which is said to have over 170m account holders. 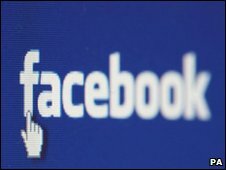 The service allows users to post status updates, share content and read and comment on posts in much the same way as those who have signed on to Facebook and Twitter do. Amid concern over how much personal information was being made public, Google made changes to Buzz to make it more clear how information was being shared as well as simplifying the process for blocking or following other users. Those early fixes did not go far enough for some critics. Last month, nearly a dozen members of Congress signed a letter asking the Federal Trade Commission (FTC) to investigate privacy concerns associated with Google's social networking tool. "We are writing to express our concern over claims that Google Buzz... breaches online consumer privacy and trust," said the signatories, led by Representative John Barrow, a Georgia Democrat. The service is also the subject of a class action lawsuit, and a leading privacy group has called for action from the FTC. The Electronic Privacy Information Centre has alleged that Buzz is "deceptive" and breaks consumer protection law. The blogosphere has reacted positively to the proposed changes. "While we can say that this is what we wanted at launch, it is heartening to see it now," said Alex Wilhelm, of TheNextWeb. Ben Parr, associate editor at social media blog Mashable, said that while the changes could not fix the damage already done, they might "help get Congress off [Google's] back". "If it can appease critics on the privacy issues, then it can tackle the bigger challenge: making Google Buzz into a competitive threat to Twitter and Facebook." The Google Buzz team has promised more updates in the future.